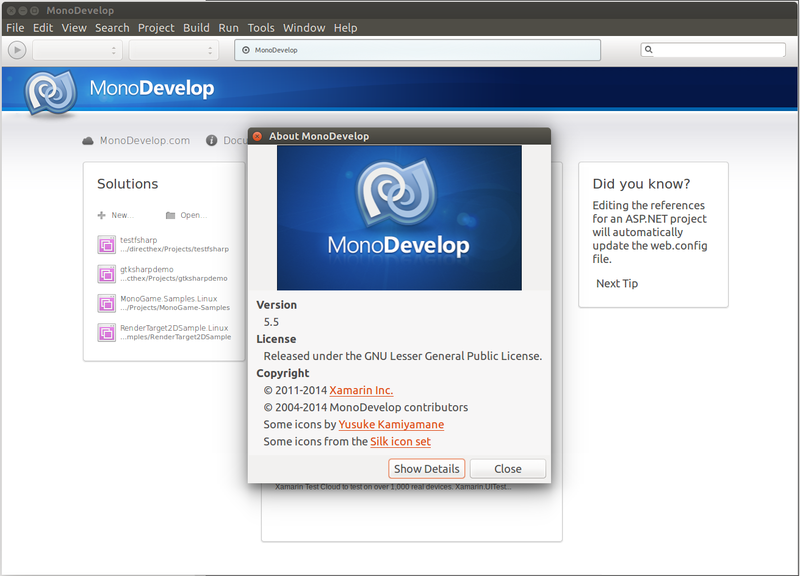 Mono 3.10.0, MonoDevelop 5.5.0.227, NuGet 2.8.1 and F# 3.1.1.26 packages are available. Plus related bits. 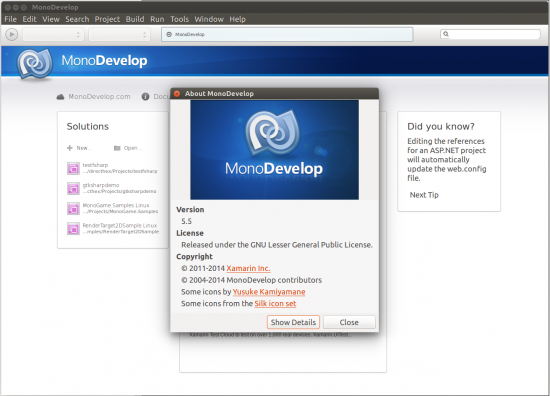 MonoDevelop on Linux does not currently include the F# addin (there are a lot of pieces to get in place for this to work). These are built for x86-64 CentOS 7, and should be compatible with RHEL 7, openSUSE 12.3, and derivatives. I haven’t set up a SUSE 1-click install file yet, but I’ll do it next week if someone reminds me. They are also built for Debian 7 – on i386, x86-64, and IBM zSeries processors. The same packages ought to work on Ubuntu 12.04 and above, and any derivatives of Debian or Ubuntu. Due to ABI changes, you need to add a second compatibility extension repository for Ubuntu 12.04 or 12.10 to get anything to work, and a different compatibility extension repository for Debian derivatives with Apache 2.4 if you want the mod-mono ASP.NET Apache module (Debian 8+, Ubuntu 13.10+, and derivatives, will need this). In general, see the install guide to get these going. You may have seen Microsoft recently posting a guide to using ASP.NET 5 on Docker. Close inspection would show that this Docker image is based on our shiny new Xamarin Mono docker image, which is based on Debian 7.The full details are on Docker Hub, but the short version is “docker pull mono:latest” gets you an image with the very latest Mono. The Dockerfiles are on GitHub. I heard that Xamarin is moving to a monthly release cycle for mono releases but after mono 3.10.0 that has changed i guess. Is their any time line for mono releases now ? info on this will be great . And unfortunately very few that use mono knows about this blog i think. If this blog gets a link from the mono project’s release news page , many will get to know things directly from the release engineer of mono himself . which will be great. @shahid, http://blog.xamarin.com/unified-api-and-64-bit-support-complete/ says January 5th for the next release. Thanks , that is great.